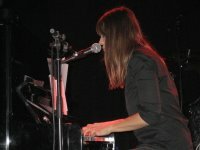 This past Wednesday me and my Fella were lucky enough to see Cat Power perform for the second time this year. This time it was at the Commodore Ballroom and she brought the Memphis Rhythm Band with her. 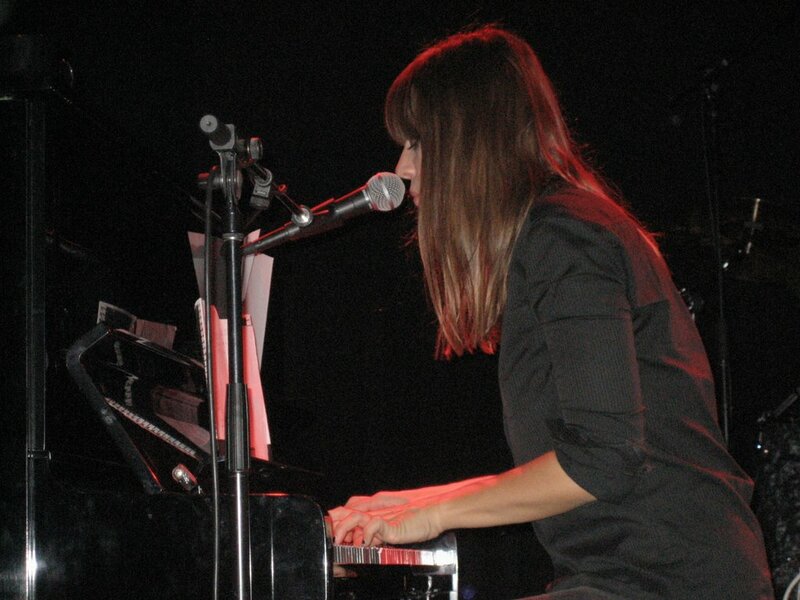 (Some members of the band are on Cat Power's newest album, The Greatest.) The show was awesome, we were up front and center and we even got some good photos! 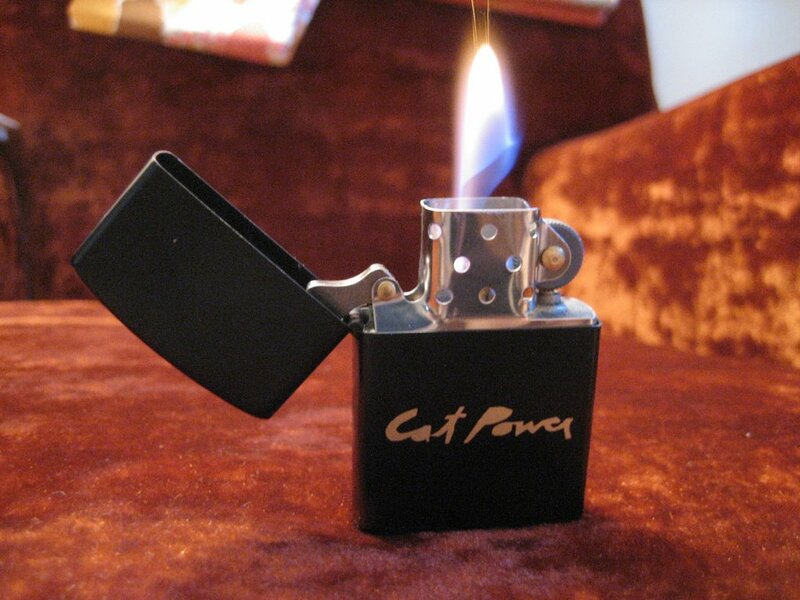 Do you see that Cat Power lighter on the bottom left? Well, we were one of 3 people that were lucky enough to snag one at the show. The roadies came out on stage quietly and quickly sold them off. What's this? Ah, some knitting content. Right, this is a knitting blog after all. Here is a photo I meant to post last time. My mom and I decided to knit the same lace shawl pattern while I was visiting in Calgary. She is knitting one for a gift and I've been hankering for some lacework. 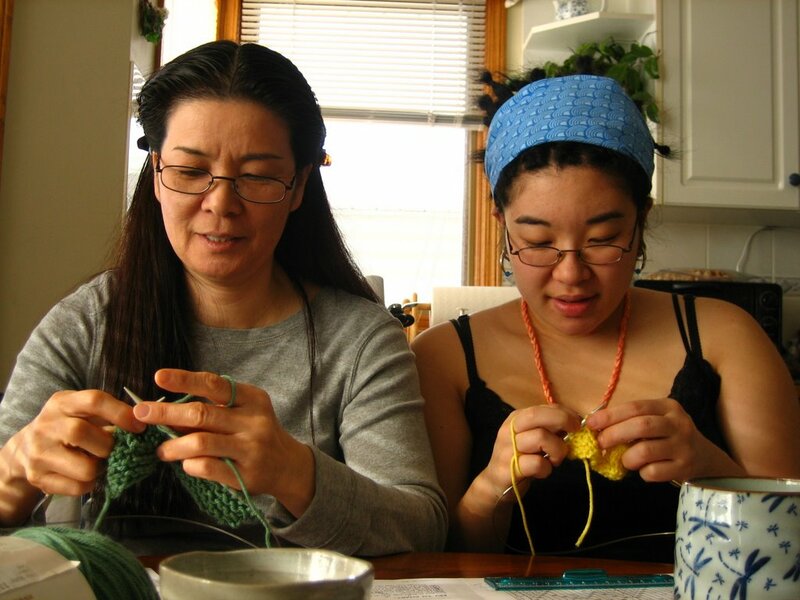 In this photo we are knitting up test swatches. We decided to use cheap-o acrylic yarn for practice, then start on with the actual yarn meant for the project. My mom is about half way done her shawl and I have yet to finish the first set off the chart. When I have more progress to report I'll post a photo. posted by Venus @ 7:52 a.m. I like your website x infinity! So much! Maybe you could teach me to knit someday soon alright!? You guys are so cute. (Sorry, I had to say that). Also - I only just listened to Ian's message! The ESP must have been working overtime. 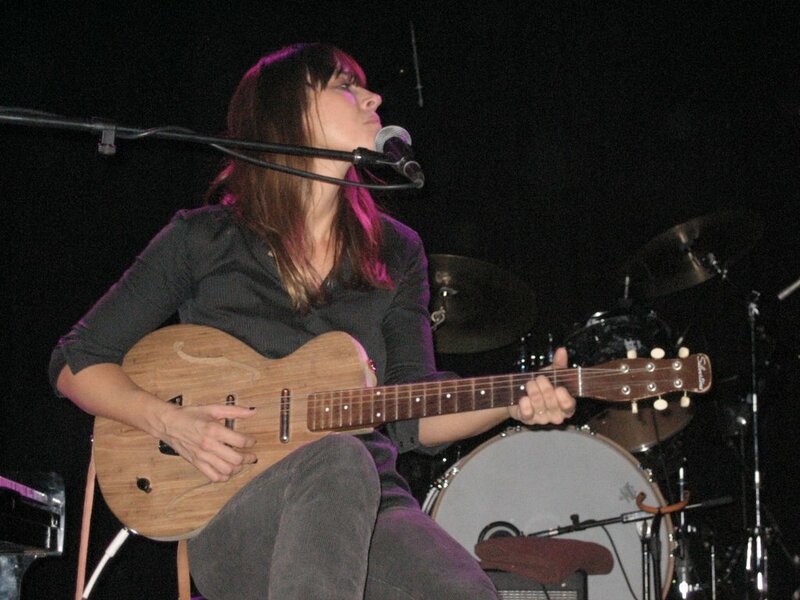 A friend of mine absolutely loves Cat Power and would be totally jealous if she found out you went...twice! It looks like you had fun though!